34 facilities have been found in total. 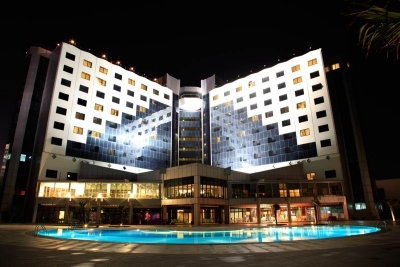 Located in the city center of Çanakkale, Kolin Hotel is founded on 42.000 sqm usable area on 86.000 sqm land. 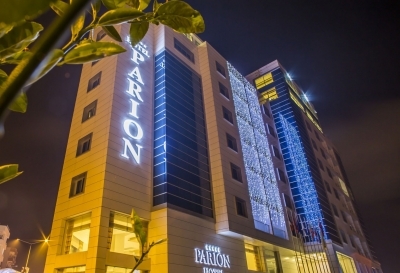 Parion Hotel, located in the city center, offers comfortable accommodation for its guests with 24 suite rooms, 138 standard rooms and total bed amount of 380. 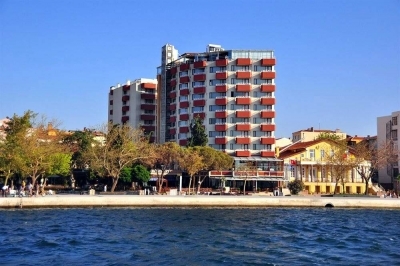 With all-available meeting rooms, restaurants with delicious foods and drinks, indoor swimming pool, fitness center, Turkish bath and sauna, Parion Hotel is the perfect place with its experienced and qualified staff for guests who want to relieve after the day, arrange comprehensive business meetings or symposiums or taste the delicious foods. Located in Çanakkale with Dardanelles view just next to the sea, Akol Hotel is 25 km away from the ancient city Troy, 60km away from Assos, 3km away from the cemeteries in Gallipoli Peninsula and 2km away from the airport. Assos Dove Hotel Resorts & SPA has the magnificent view of Assos Kadırga Bay, the most important holiday region of the district Ayvacık, and it offers the perfect holiday to you with its 120 standard rooms, 4 suite rooms, 4 VIP rooms, 400 sqm pier, 2 swimming pools (1 indoor pool of 150sqm and 1 outdoor pool of 750sqm), indoor restaurant with a capacity of 400 people, outdoor restaurant of 300 people, mini zoo, aqua park, Turkish bath, sauna and indoor disco. 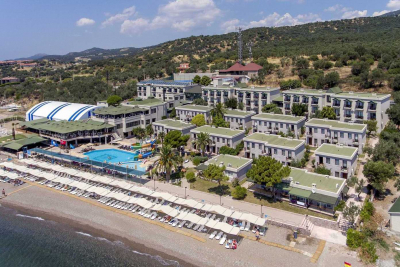 Assos Eden Gardens Hotel is located in the touristic Assos region of the district Ayvacık and it attracts attention with its natural environment surrounded by olive trees. Being seafront and offering blue-flagged and award-winning beach, Assos Eden Gardens Hotel offers a great accommodation with a bed capacity of 256 in its 74 standard, 24 bay-view, 17 mini-suite and 3 VIP Home rooms. 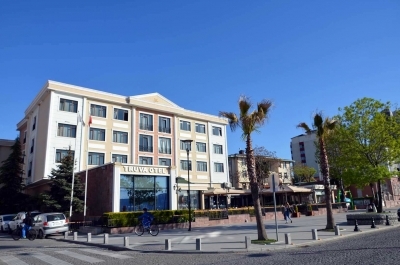 Located in the city center of Çanakkale seafront, Grand Truva Hotel draws attention with artworks and historical icons that can be found inside of it. İda Kale Resort is located in Güzelyalı village that is 15km away from Çanakkale city center and has an amazing forest with pinewoods east of it and amazingly blue sea of Dardanelles west of it. Located in Güzelyalı district, 15 km away from Çanakkale, İris Hotel lolls against pine forests and faces towards the blue of the endless sea. Tusan Hotel serves its guests with 64 rooms and 128 beds on the 14th kilometer of Çanakkale-İzmir road in Güzelyalı district, with perfect pinewood forest on one side and amazing view of Dardanelles on the other. 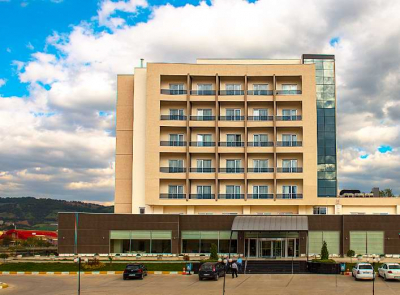 Providing service at the Çan district of Çanakkale, Ataol Çan Thermal Hotel & SPA is located at the city center. © 2006 | Canakkaleotelleri.com - All rights reserved.